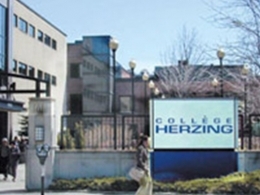 Since 1965 Herzing College has been recognized as a leader in high quality, credible training for market driven programs in Healthcare, Business, Technology, Legal, Media, Design, Public Safety and Education. Our Montreal, Ottawa, Toronto, and Winnipeg campuses work closely with top local and regional employers to ensure that Herzing programs encompass the skills and knowledge needed for our students to succeed at the next level. Our Career Development Department provides students with the training and employment resources they need to successfully find employment. Our students are our top priority, and every decision we make stems from that commitment. We offer day, part-time and evening classes to allow our students the flexibility to reach their higher education goals. At Herzing we are committed to assisting students who are often balancing work and family commitments with their studies while they strive to improve their lives through education.